When it comes to chronic pain, there will be only a handful, if any, who will relish going through it. Pains, no matter what form or cause, can be disturbing, debilitating, and disrupting of a person’s normal life. Can you already imagine that while this disruption is true with only one episode of pain, what more for chronic pains? For many pain complaints, one known effective intervention is epidural injection. However, this intervention can only be provided upon the advice of the patient’s primary physician. It would be helpful though to orient oneself on the basics of epidural injections. 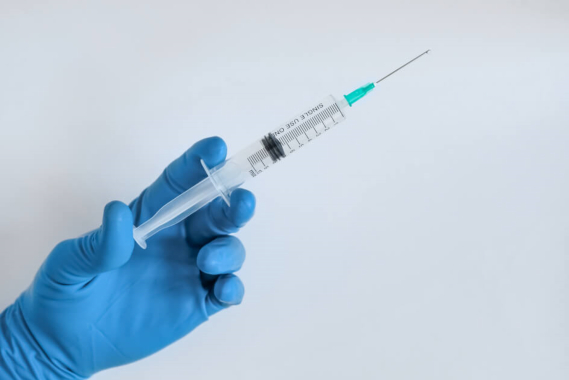 Hence, as the leading provider of chronic pain treatment in Telangana, let us give you a brief overview of what an epidural injection is through this quick guide. Epidural uses a local anesthetic and a corticosteroid. These drugs can either be combined or standalone when administered to the patient. The local anesthetic, particularly lidocaine or bupivacaine, provides immediate numbing and relief from pain. When the anesthetic starts to wear off, the steroid begins to work, providing short or long relief. PELD (Percutaneous Endoscopic Lumbar Discectomy) is a stitchless, awake, and day care procedure which gives permanent relief of pain from disc prolapse. Epidural injections are commonly administered in the neck or the lower back. However, these pain interventions can also be administered at the person’s upper back or at the tip of their spine. Needless to say, only experts can determine the right location to administer the treatment which can provide the most effective pain relief. Epidural injections can cause minor complications such as headaches. However, these are not life-threatening and are usually seen to diminish even without treatment. Still, the patient has to exercise sufficient observation of their condition. Some minor complications also include fainting, increase in blood pressure level, facial flushing, and increased pain. Epidural can also pose risks for serious complications. The injection can accidentally hit the spinal fluid, which can potentially cause a spinal block and is truly life-threatening. Some more serious complications include stroke, allergic reactions, seizures, brain edema, and even, death. Epidural injections require the approval of healthcare experts prior to its administration. Patients are always advised to seek immediate medical attention if they’re experiencing unusual symptoms after receiving epidural treatments. For safe and best results, always check with your physician or licensed healthcare provider before getting the treatment. As your trusted pain management center in Hyderabad, Telangana, we understand the serious necessity of getting one’s pains managed immediately and effectively. However, this should not be performed on your own initiative as the interventions can be risky without professional guidance. When you need this kind of assistance, don’t think twice of consulting with your doctor, or visiting our team at Advanced Spine and Knee Hospital. Are you interested to learn more about epidural injections? Do you have further inquiries about pain management? To help address your chronic pain, regardless of their causes, feel free to contact us or talk with our pain experts. If this post has provided you with helpful information, don’t hesitate to click the SHARE button. This entry was posted in Epidural Injections and tagged Local Anesthetic, Lower back pain, Neck Pain. Bookmark the permalink.